For those of you embarking on the running adventure of a lifetime and seeing the excitement, thrill and joy of your new running adventures, it reminds me of the times I first felt that joy, nervousness and anticipation of running a massive goal that I never thought I could do! Many of you reading this have met me, or seen me running in some pretty wild adventures, but believe it or not, I only started running 3 years ago. I am a “crazy” runner yes, but more “crazy” in the beginning, as opposed to “crazy” now. Although some may say – the same about me now, but with a different meaning I suppose. My first half marathon I completed was on the back of only 12 weeks of running. Ridiculous when I look back, but I have that kind of mental toughness. I finished that half marathon in 2 hours 17 minutes and was stoked – I ran the whole way! My longest training run leading up to that was 16km and I only ran a long run every 2 weeks. Not much training at all. 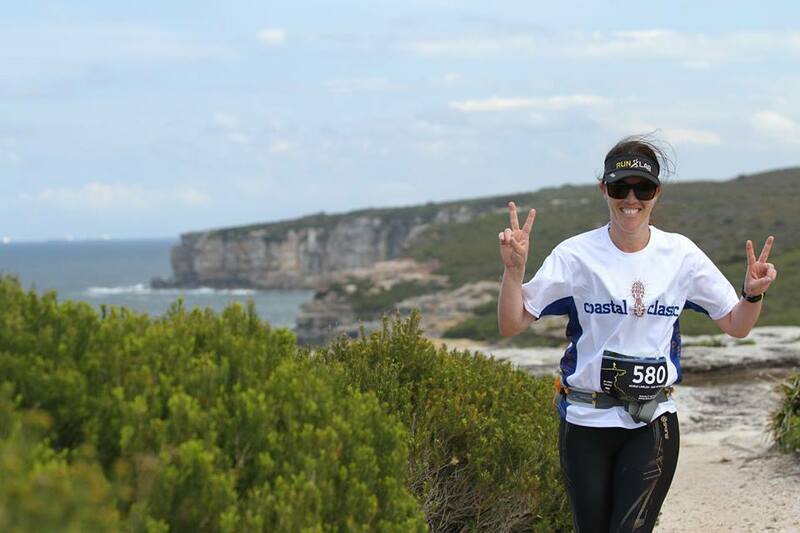 Not long after that event I entered the Coastal Classic – a 29km trail run in the Royal National Park, Sydney. I completed that in 4 hours and 20 minutes – again not bad, as I had no trail running experience and my longest run prior was 14km in the City2Surf. This was not my finest idea! I started training like mad – hills, trails, haphazard training runs of varying length and then just before Christmas – BANG – I was diagnosed with my first stress fracture! It was a set back, but still it didn’t stop me…I had 6 weeks off running and participated in my first Ultramarathon of 50km with only 12 weeks training. I finished the event in 9 hours 17 minutes. Last year (2017) I was meant to participate in my first 100km Ultramarathon, but unfortunately again, my haphazard training, smashing out hills and having no purpose to what I was doing, led me down the path straight toward stress fracture number 2, and this one was a doozey! This time I was diagnosed with a ‘Femoral Neck stress fracture’ and was off running for 4- 5 months. This devastated me as my social connections and my outlet from life were ripped away. I had to sit on the bench for a while and ponder how I got into this position again and how on earth I was going to avoid it happening again. So, what have I learnt from 2 stress fractures in 2 years and how I have gone back to running “crazy” again without issue? Have a plan! Plan your running so that you are gradually building your load. If you need help with a plan talk to Rachel. Don’t go too hard too soon. You have plenty of time to prepare for your big events, even with a minor injury set back there is plenty of time. Don’t panic! Recovery is as important as your running. You must add in a rest day. Listen to your body. If you are tired, flat or extra moody take a rest day. It will not affect your running if you rest, but will affect your running if you continue. Get some extra rest and let your body heal. Trust me!! Don’t get caught up in other people’s training. This is your journey and your adventure that you are SHARING with others. Do not worry about their times or stress about what they are doing on Strava. Eat well and fuel your body. Don’t sneak in extra naughty calories because you are burning more. Eat to refuel your body, and as trail running requires more strength you will want to eat more. Do some strength work! You will need it on the back end of your run especially the last 20km of UTA50 or last 15km of UTA22. If you’d like to chat about what you are doing or wish to pick Nicole’s brain about all things injury you can email her at – nicole@padstowchiropractic.com.au – she would be more than happy to catch up for a coffee and tell you what NOT to do! Dr. Nicole Lawler graduated as a Doctor of Chiropractic from Macquarie University and also has a Certificate in Clinical Pilates from DMA Clinic. She is the owner of Padstow Chiropractic in Padstow, Sydney.